It is a curse at times to understand English while in a foreign country. I know, I know, it’s a blessing, BUT … in Florence, at times, you hear things that make you want to interrupt and give your opinion. No, my mom always said, only if you’re asked — and not always even then. The other day before class, I went to the Piazza della Signoria, to the Loggia dei Lanzi (the sculpture gallery), to sketch. It’s kinda like a town square, and VERY crowded. Much English is spoken. A few runaways from a tour group sporting their white tennies (a dead giveaway of their status as Americans, not that anyone’s hiding it) sitting next me is discussing where they will go on their tour. Michelangelo’s David was originally situated on this Plazza, it is true. Commissioned for the famed Church of Santa Maria del Fiore, the Florentines so loved this work they sat it right in front of their town hall, the Piazzo Vecchio. Today, the work that remains there (by the opinion of the Florentine people) is a bad copy. Indeed, I can state, “Ain’t nothing like the real thing, baby.” and to assume you have checked him of your list because you saw this replica is missing the entire point of Florence — in fact, the whole point of the Renaissance itself. From the Biblical story of David and Goliath, Michelangelo’s version is said to have collided with Hercules. 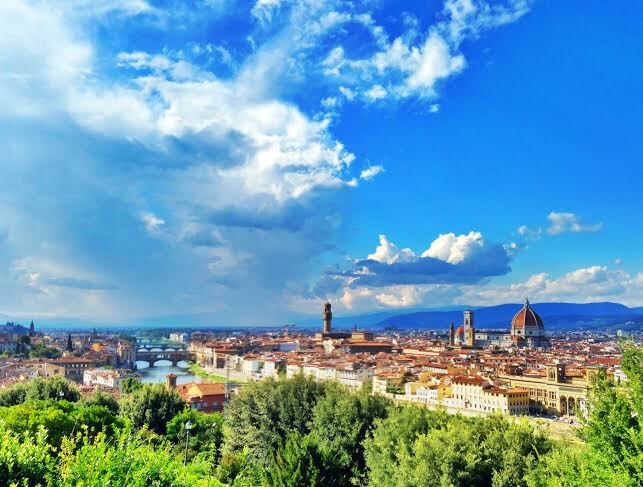 Like David, the Florentine people had conquered neighboring cities — the victorious underdog, now the capital of Tuscany. 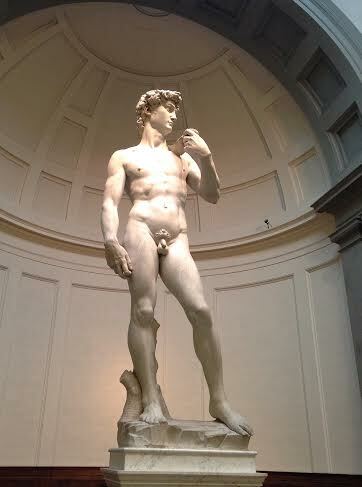 The Florentine people could relate to this strong, determined David. In every way, the Renaissance is about humanism. Man as a reflection of God, created in his image, to be honored as a creation of God and each individual with his/her own feelings and emotions to be honored. In this way, David is a supreme example of humanism and, therefore, the Renaissance. Still, I did not share this with the American tourists, knowing they would go home with a grand experience of Italy and never second guess their decision. Still, from me to you: Go and see him. He does not disappoint. Today, after a morning spent blissfully painting. I meet Benedetta for our class and the Accademia was our classroom. I think sweet Benedetta sensed my exhaustion after the long visit at the Accademia. It’s all so much. Indeed, all wonderful, all my passion, all I want to learn, but my head is like boiling water by this point, spilling over the pot. It’s just so much grand, glorious information. 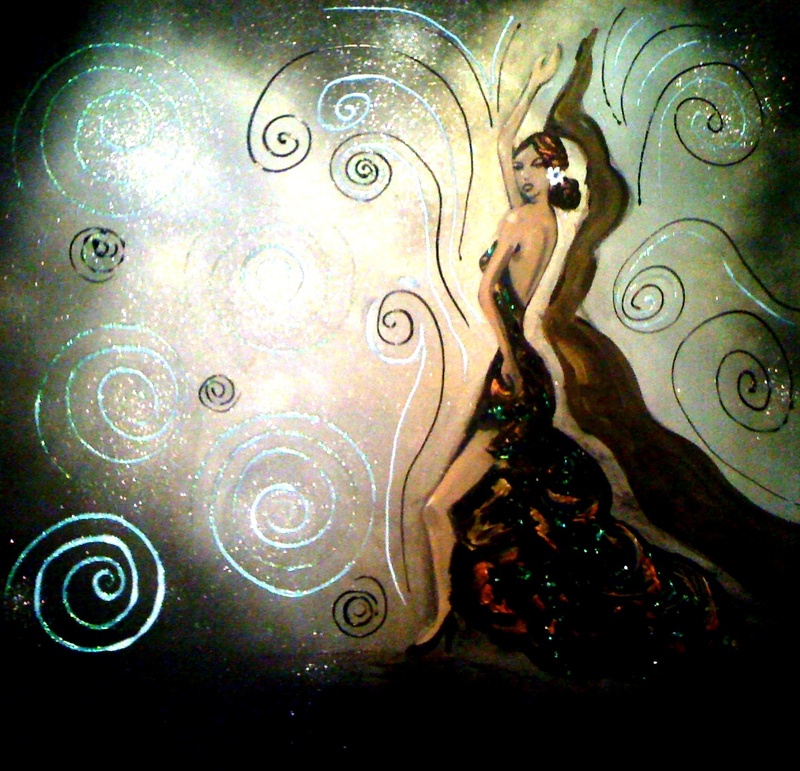 So she asked, “You want to be more outside?” Um, yes, yes, I think I need more sunlight and less of the inside of a building, no matter how much light radiates from those glorious works of art. So she took me across the city and up, up, to the precious little church of San Miniato above the Piazza Michelangelo. I discovered it my first morning here on a half run, half exploration of the city. The church shines like a jewel above the city, a precious little jewel right from the 11th Century, with a facade from the 12th Century, a glittering gold mosaic from the 13th Century, a nave and tabernacle inside that’s a tribute to all things Renaissance. It was a true treat, and the wedding was, well, icing on the cake. (I warned Benedetta that if she gets her wedding in this prized location to think of me as tourist, quietly mingling about during the ceremony.) And the view from here — sigh, just spectacular. A good call by those men who built this when nothing else was there. A quick view over this exquisite city from the Piazza Michelangelo and we parted ways: me off to my favorite food spot, the Pizzicheria Antonio Porrati, for an after school snack and reflection on the day. But it’s really early evening, and so it becomes dinner. Afterward, I retire to my apartment to put my feet up and relax. All this learning is hard work! May the sun always shine on the curious, and night fall heavy for that much-needed rest.